Aquilina Plumbing and Rooter, founded by Frank Aquilina, began as as Rite Job Professional Plumbing back in 1998 in Tucson, AZ. After over a decade of serving the Tucson community, the recession hit Arizona and Frank made the hard choice of packing up the family and business and relocating to California where he first became a plumber. Frank received his C36 Plumbing Contracting License and hit the ground running, building up the business by contracting with the home warranty companies of his choice and soon built the reputation for being able to do ALL the plumbing jobs other plumbers could not or would not do. Our customers started referring us to their friends outside of those warranty companies and we have enjoyed serving our community ever since. We specialize in kitchen and bathroom remodels (including tile setting), tank-less water-heater repairs and installations, conventional gas and electric water heaters, faucets and fixtures, toilet repairs and installations, unclogging drains, repair and replacement of sewers, trench-less sewer replacement, drain lines, hydro jetting, and sewer line inspection. We are available for Emergency Services and much much more. Aquilina Plumbing And Rooter is your one-stop plumbing shop! Our residential customers have voted us #1 for professionalism, speed and rates. Twins Plumbing construction team provides our customers with full service plumbing and drain cleaning, 100% customer satisfaction guaranteed. Twins Plumbing always put our customers first and we have invested in modern technology to serve our customers with the highest quality. Homeowners trust Twins Plumbing for all of their installation, repair and replacement needs. Emergency Service is our specialty! You can schedule service appointments between 7 a.m. and 7 p.m. The Top 8 Reasons Why we are known as the Best Plumbing Company Around: You are our #1 Priority: At Twins Plumbing, our plumbers work extremely hard to deliver the highest level of service – it’s our #1 priority. Seniors Discounts: At Twins Plumbing we offer special discounts to our senior customers. No Hidden Charges: There are never surprises with our bills, up-front prices! Our pricing system is always fair. Free Estimates: We provide free estimates for all your plumbing repairs and installations. Our employees must pass numerous background checks. When our employees visit your home, rest assured that they have passed criminal background and drug tests, and are equipped to provide you with the service you need. We Are Plumbing and Drain Cleaning Experts: No matter what your problems or concerns are we have a knowledgeable team of trained professionals to ensure the job is done right the first time, every time. No Extra Charge (no over time charges) Operating Since 1990: Twins Plumbing is a family own business, we treat our customers as family. We are a full-service neighborhood plumber that can service your sewer lines, home piping, repair and cleaning needs. 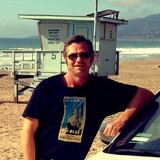 We’re available at the drop of a hat in the Greater Los Angeles Area and the San Fernando Valley. 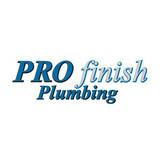 We are dedicated to providing professional and courteous plumbing services! 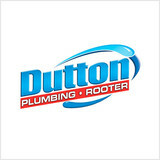 We have a wonderful and personable team of plumbing experts with over 150 years of combined experience. Our service technicians specialize in trench-less and no-dig methods that will save you time, money and headaches. The trick is detecting the problem area and addressing it directly instead of digging trenches that could damage driveways and gardens. A plumbing contractor handles the installation and repair of water, sewage and natural gas pipes throughout a home, as well as interior and exterior faucets and fixtures. Plumbing contractors are also trained to work with water mains, septic tanks, laundry appliances, water heaters, sump pumps and other plumbing and pipe systems. Because plumbing repair work is done largely behind walls and beneath floors, some plumbing companies can also patch or replace tile, stonework and other surfaces. Although some Valencia plumbers are generalists, others specialize in specific areas; a 24 hour emergency plumber will handle urgent residential repairs, while others may be more skilled in remodeling, natural gas lines, overhead sprinkler systems and more. Find a local Valencia plumber on Houzz. Narrow your search in the Professionals section of the website to plumbing contractors in Valencia, CA. You may also look through photos of Valencia, CA projects to find a licensed plumber who has worked on a project similar to yours. Here are some related professionals and vendors to complement the work of plumbers: General Contractors, Septic Tanks & Systems, Kitchen & Bath Designers, Kitchen & Bath Remodelers.